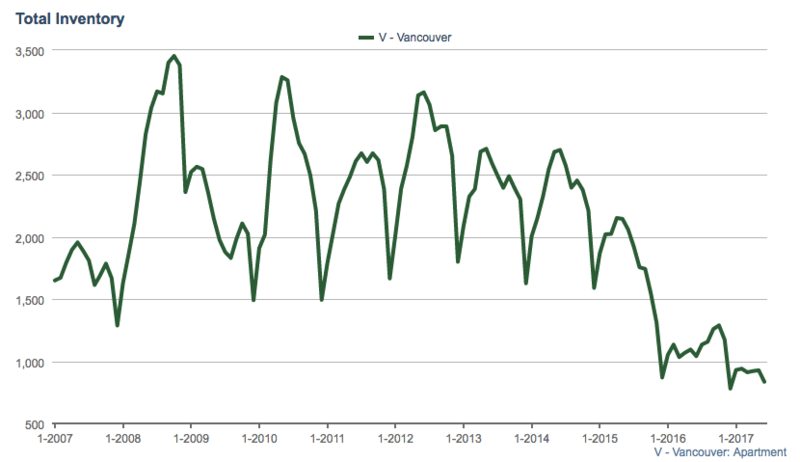 This is beginning to sound a little repetitive (May Numbers Here) but the Vancouver condo market continued it’s torrid pace in June. Thanks in large parts to falling inventory, which dropped 20% year over year. Sales remained strong, as a plethora of buyers were stuck competing over the few listings available. Full analysis of sales, new listings, and prices below. Condo sales fell 8% year over year but were still 13% above the ten year average. I’d argue sales could have been higher if we had more inventory as many buyers remain shutout after losing in multiple offers. New listings dropped 3% year over year in June, and were 13% below the ten year average. Sellers appear to be nervous about selling as competition to re enter the market is fierce. 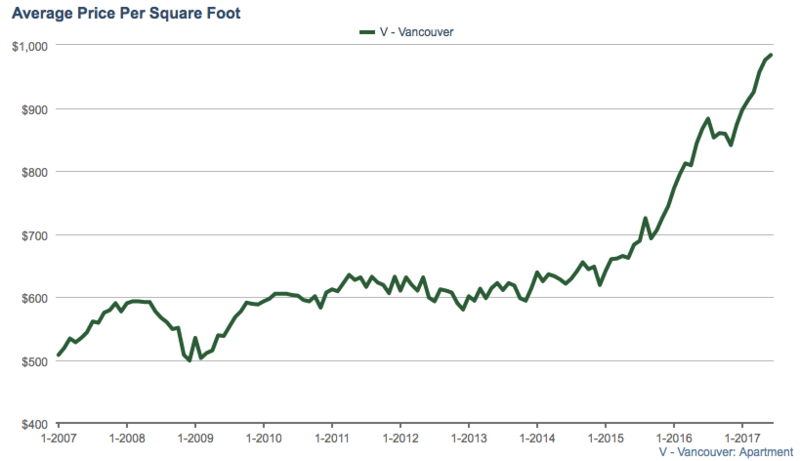 Vancouver condo inventory fell to a paltry 835 units available for sale. This is a 20% drop year over year, and the fewest available condos for sale of any June in the past decade. This graph highlights just how severe the lack of available inventory really is. Vancouver Condo Inventory falls 20% in June. The Vancouver condo market continues to see stiff competition amongst buyers. Multiple offers are expected on every unit. The sales to actives ratio currently sits at 84% which signals a red hot sellers market. Until we see a prolonged uptick in new listings I don’t expect upwards pressure to subside. Unless of course we see other external factors come into play, such as credit tightening or more government intervention.